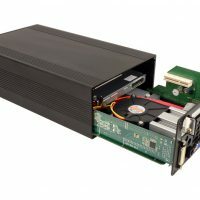 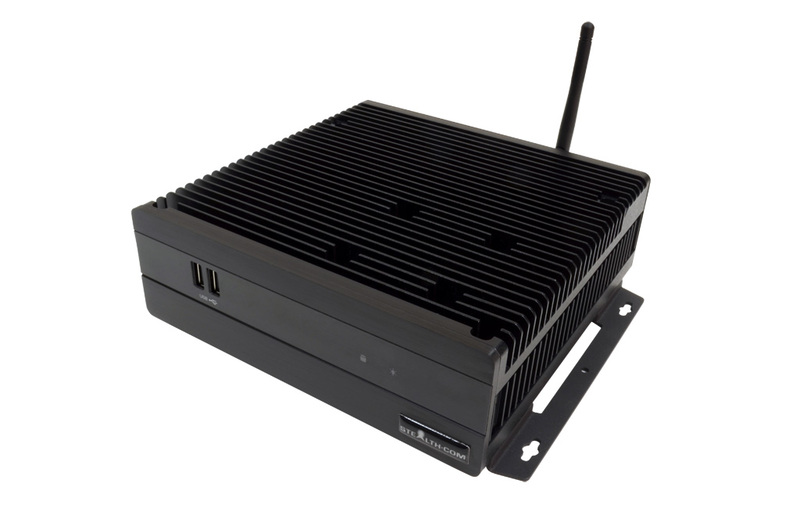 Fanless by design, Stealth’s LPC-630F Fanless Mini PC/Server operates without noisy cooling fans that can draw in dirt and dust causing potentially catastrophic failures. 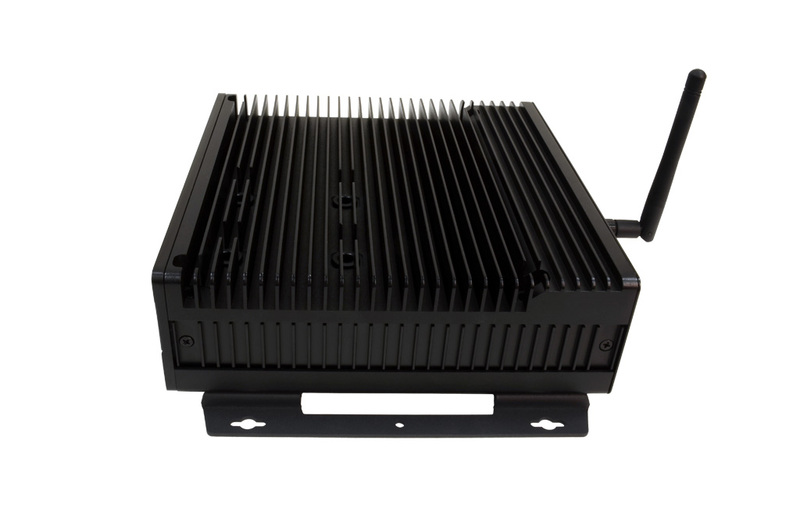 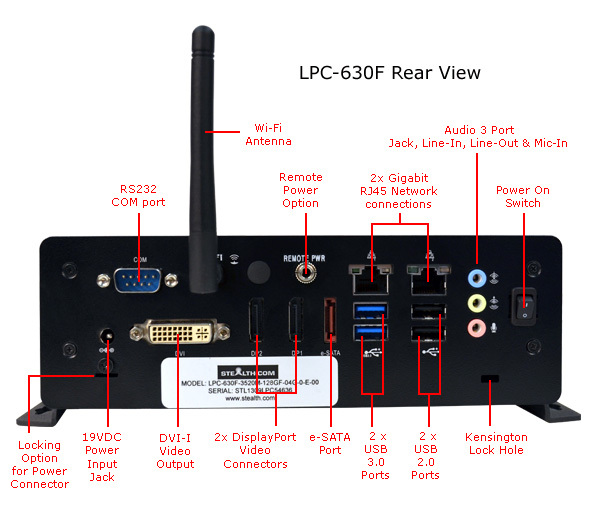 The highly reliable LPC-630F small PC is designed in a rugged extruded aluminum chassis that provides superior heat dissipation. 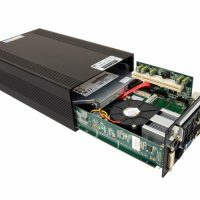 Engineered with the latest Intel® Core™ 3rd Gen Core i7 Mobile processor, you’ll experience revolutionary performance, unbelievable system responsiveness, and energy-efficiency second to none. 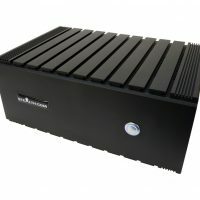 See our FAQ – Why Choose Fanless? 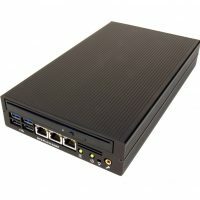 The Stealth LPC-630F Little PC is packed with features including, 2x USB 3.0, 4x USB 2.0, 1x RS232/Serial, 2x GB LAN ports, equipped with a 128GB MLC SSD (Solid State Drive), up to 16GB of memory, DVI-I & DisplayPort video connectors, audio in/out and much more. 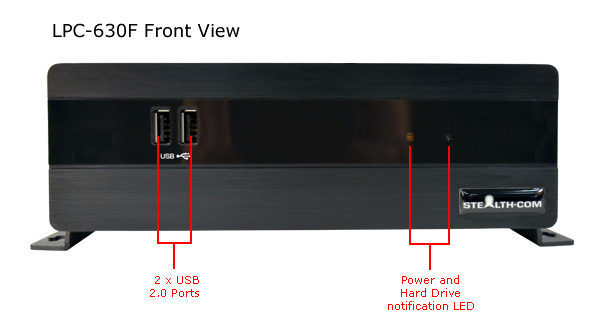 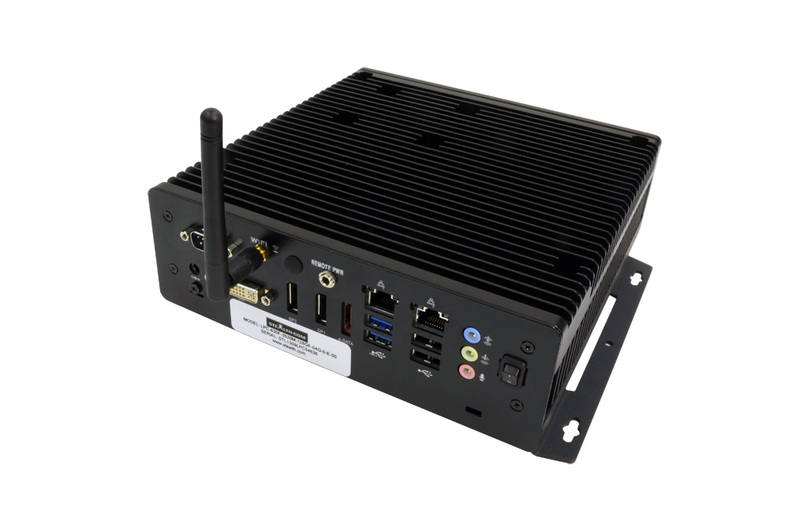 Stealth has a wide range of small and mini computers that are excellent for a multitude of applications including; Embedded Control, Digital Signs, Interactive Kiosks, Thin-Clients, and Human/Machine Interface applications.